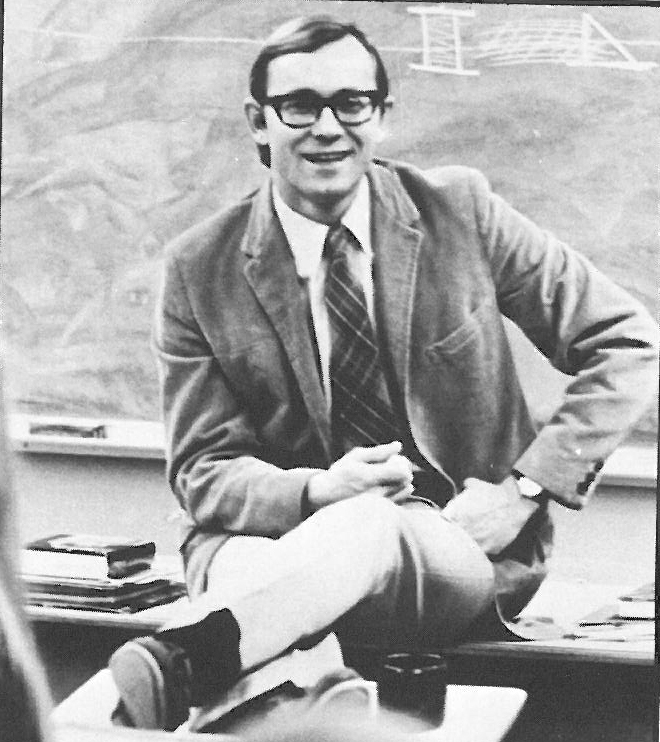 We have an extraordinary opportunity to honor an extraordinary man whose commitment to Sayre touched the lives of countless students - Thomas A. Grunwald. An alumni family of the school has pledged to match gifts to Sayre in memory of Mr. Grunwald up to $1 million dollars. Every dollar you give will double. This anonymous challenge match has three objectives: to honor Thomas A. Grunwald, to support the school that he loved and served for over fifty years, and to name the Buttery in his memory. Last January, over seven hundred Sayre alumni and friends attended Mr. Grunwald’s memorial service at Good Shepherd Episcopal Church and then gathered in the Buttery to share memories and pay their respects to the Grunwald family. The outpouring of affection for Tom was unprecedented and the stories shared on social media spoke to the unique and personal way Tom made a difference in the lives of our students and then stayed connected with them over the years. He never stopped caring and was always eager to learn where life beyond Sayre had taken everyone. We are so fortunate that a group of alumni, led by Ann Bakhaus ’74 and Buck Prewitt ’74, have stepped forward to coordinate the Campaign To Honor Thomas A. Grunwald. Through their support and those of others, we have already raised $220,000 as of August 14th. With the match, that total is $440,000. I hope that we can include your gift as a testament to Tom’s life and legacy. We will be dedicating the Buttery in Tom’s honor at this year’s Alumni Reunion on Friday, October 20th. I hope that you will celebrate with us this fall! With your support, we have found a way to say “thank you” to the man who for decades was the face of Sayre. The names of all donors will be listed on a commemorative plaque in the Buttery. All gifts to the campaign are greatly appreciated.